Joining in a day late for Nancy's Random 5 on Friday, only today is Saturday....that might give you a clue as to overall disposition lately. 1) Oh my goodness, it has been 6 days since I have posted anything new, maybe, just maybe I haven't been totally inspired by much lately. This winter has really taken a toll on my overall attitude. This week alone we have had another major snowstorm that pushed us into the annuals of being the 5th snowiest winter since 1800 something...whoop whoop (fake excitement), we had temps that rose almost to the 50 degree mark which caused much melting of above stated snowstorm, followed by downpours on Thursday which caused major flooding coupled with the melting snow, after all the rain a major fog rolled in, cancelling another kazillion airline flights, followed by 50 mph winds on Friday. Now I state again....where does one get inspiration from that series of events??? 2) I did get excited the day of the major snowstorm when I spotted what I always think of when I imagine spring is on it's way.....a robin. He even turned around so I could capture both sides of him. 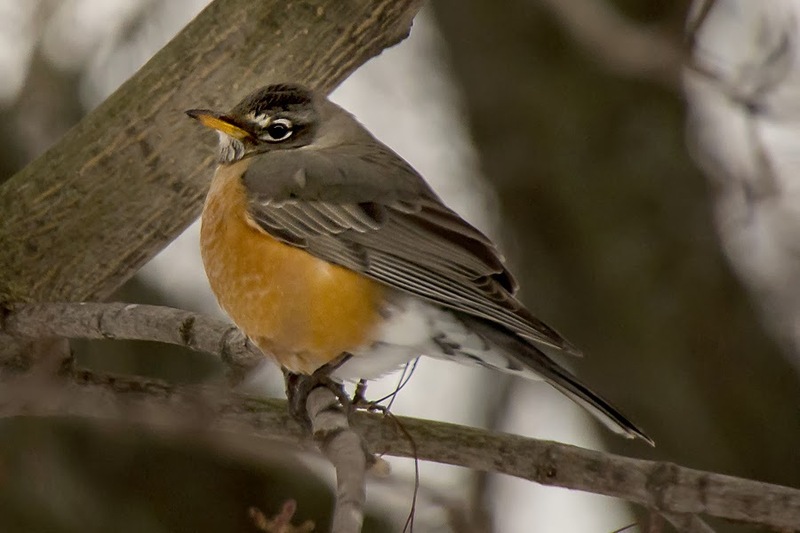 But then the very next day I read in the newspaper that the robins that we are seeing are either 1) those that hang here all winter, never going south or 2) Canadian robins that winter here. Talk about bird brains, number 1 who wouldn't want to go south for the winter? and number 2 who would in their right mind want to winter here?? My attitude is showing again. 4) I am really trying to eat better these days. Leading a single life sometimes leads to bad eating habits. After preparing meals for almost 50 years, first for the two of us, then when the children came along, the four of us, then back to the two of us when the kids fled the nest, then my mom moved in and it was the three of us...so for many a year there were loved ones around to prepare meals for. Gathering new recipes, watching cooking shows was then a part of my life. But now with just me, that urge to prepare a meal has fizzled. I am finding new ways to add a little more healthiness to my daily diet. Trader Joe's has answered some of those needs. They have (not only great flowers) but fresh veggies and fruits neatly packaged and already prepared which makes it super easy to correct some of my bad eating habits. 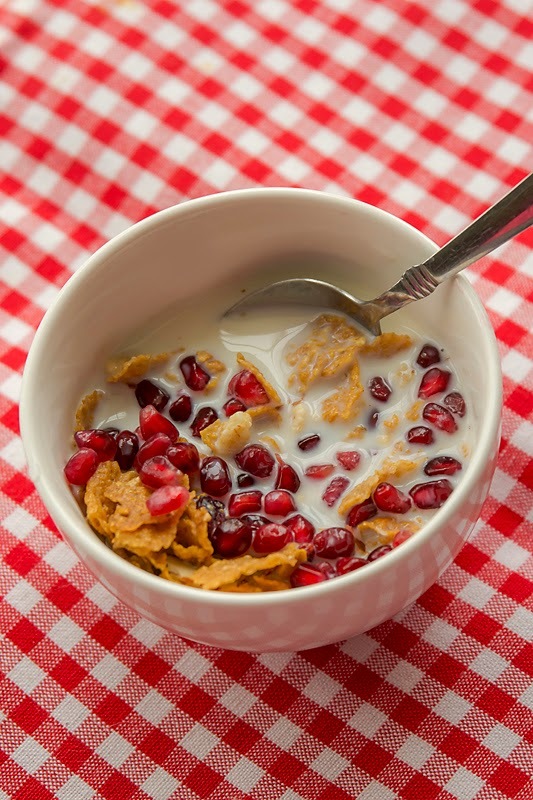 Instead of a donut for breakfast (not to say that never happens) I buy their already seeded pomegranates and sprinkle them on top of my cereal for breakfast. They add that extra sweetness and crunch, actually I could eat a handful on top of nothing....!! 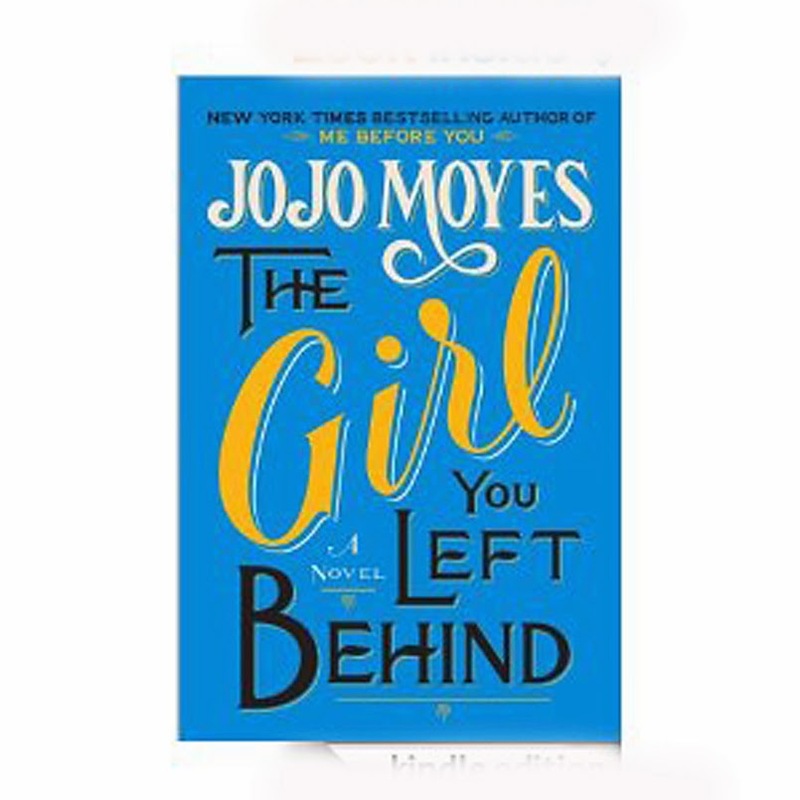 5) Yesterday when the winds were blowing, another good day to stay inside I started reading "The Girl He Left Behind" by Jo Jo Moyes. Well, honestly I couldn't put the book down. The title of the book is actually the title of a painting that was painted before World War I by a young artist in Paris for his beautiful new wife. The early story begins with the German occupation of France in 1916 then moves to present day London with the painting being the connection of those lives and times. Well written, wonderful characters and I am returning today to finish it. The "kids" sleep either on my lap or on the floor near me as I read on. I know I lead such an exciting life, but in February, in Chicago this is about as good as it gets, for me anyway. Your photos are terrific. Love the little red robin. Those are nice shots of the robin. We've had the same kind of weather here, but today is beautiful. 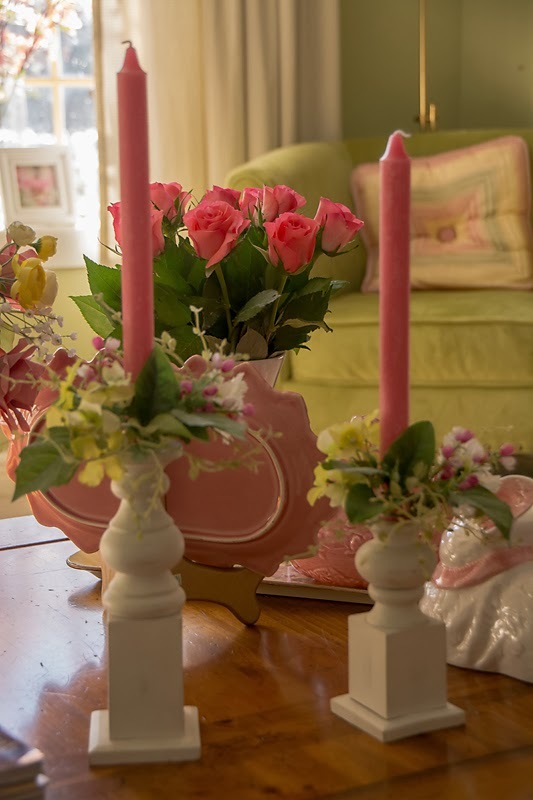 The pretty flowers around your house are bound to lighten up your mood! GLAD to see your post as I was afraid that the extended and awful winter might be getting to you. Even here in Texas, it is getting way past what I am interested in having go on and on. Now last night, I saw some tornadoes in Illinois. Was that during or right after the snow storm.. Yuck. It was my cousins birthday the other day, and it was snowing , sleeting, and lightning and thunder. UGH! Well all I can say is that Charleston had better be SPRING WEATHER. And it won't be too long from now either. Your robin shots are so cute! I would chose to think that they are not the ones that are staying all winter, but the ones you saw are returning home!!! Hang in there... spring is coming. Oh, and that really looks like a much healthier breakfast than the one that I had. Hugs from Texas! I am sorry to hear about all that snow you've been getting. But I bet all that spring with snow out side makes for beautiful scenery. I LOVE Traders. I eat a bowl of Kettle pop corn EVERY NIGHT! They have good everything. 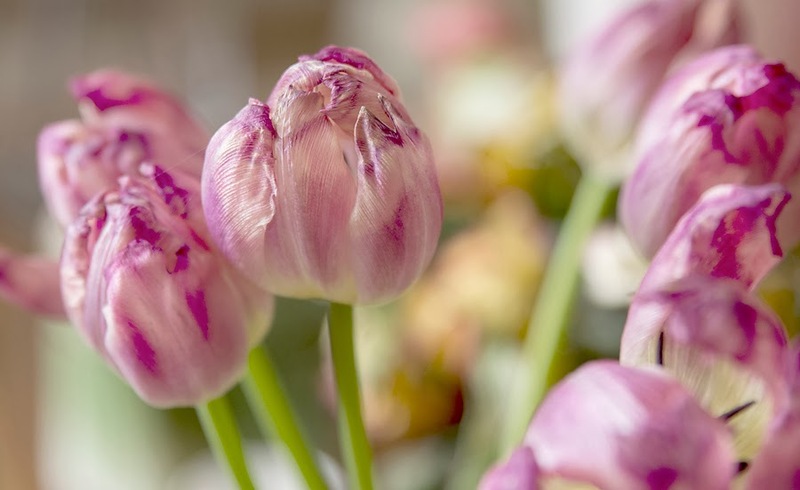 GORGEOUS Tulips Deana. I liked that book, too, Deanna. I've read some others of hers that were also good. We're soon going to have a Trader Joes near us in the city. I always like your pretty flowers. It's been so windy in CO, too - i can take snow but the wind keeps me inside. 1) We have had a few nice days sprinkled between cold and/or windy days. When I wake up in the middle of the night to howling wind, I am not too inspired. I hope this crazy weather can find a happy balance soon. 2) I like your Robin captures. It will be a while before we see any. 3) If I lived closer to town and had access to flowers, I would buy them, enjoy them and photograph them! 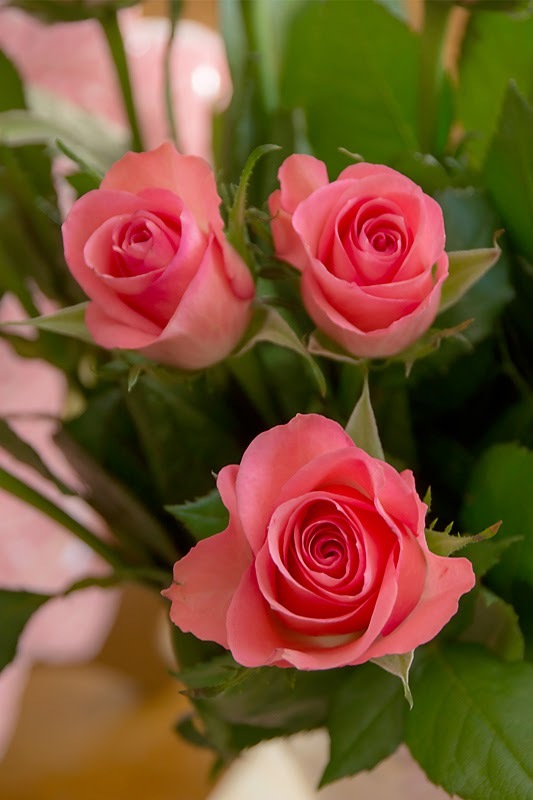 Thank you for sharing the flowers you enjoy. 4) Next month J and I will be married 9 1/2 years. J is NOT a leftovers fan and a picky eater. I have had little cooking and baking inspiration lately. I'm not sure why, just not feeling the need to be in the kitchen. 5) Last week I read your book suggestion "The Husband's Secret." Excellent. I already put "The Girl He Left Behind" on my Amazon wish list. I hope you keep sharing the good book finds. always enjoy your posts Deanna, and some times it is hard to come up with something new and worth making a post of. You seem to do it right every time! I can relate to the meals thing you mention too. Slow-cook meals in quantity, casserole or soup, and freezing up is a good stand-by. Of course, I totally loved your robin. When my hubby leaves the house and I am alone (which is very rare the past three years of his retirement), I feel lost. I can only imagine how you must feel being stuck inside your house with all that snow outside and no one to cook for.....hugs.....do you have Skype? My mom has just discovered it (actually was given a laptop with it on there by my brother) and she and my brother play games with each other every night....and his kids and grandkids call her on there every night and she can actually SEE them while they are talking....like getting a visit. I remember you have some beautiful children and grandchildren. Maybe if you had Skype and talked to them a couple of times a week, it would brighten your day. I do hope the snow stops soon....and the rain.....and the wind.....if it doesn't, come on down to Texas. We have plenty of room. :) Again, big hugs. Know we all care! Deanna, your photos are just exquisite. I love your robin and look forward to seeing them in my backyard for I will know then that spring is definitely coming. I think many of us have cabin fever and are ready to have this winter behind us. Take care and have a nice weekend. Love to see that pink...and yes, it is hard for one to eat healthy. I'm never inspired to cook when it is just me. Best wishes and hopefully we'll see brighter days ahead. Hang in there, you Chicagoans have had a tough winter! Spring will come. Your robin is so cute (and round)! I often wonder about the birds that are wintering in Vermont - are they nuts!?! It's freekin cold in Vermont! I love your flowers and need to check out your latest book. Stay warm, Deanna, better weather is on it's way. I think I can actually say I was depressed for a few weeks. I blame it all on the weather. The sunshine today turned it around for me. Mr. Irish just read to me from the Farmer's Almanac . . . bad storm in April . . . now why was that published for us to think about! Love your flowers . . . encourages me to look for something other than tulips this week. And the Robin, whether returning or lingering . . . the photos are perfect! And I am happy you read the The Girl You Left Behind . . . wish we could discuss . . . Me Before You is still my favorite JoJo Moyes . . .
Let's plan on some sunny days lifting us up this week . . .
That sounds like an interesting tale..I'll have to add it to my "to read" list...which is quickly becoming a mountain because I am slowing down on my reading at night after discovering Amazon prime and all these wonderful old shows..not to mention D.A.! LOL. I hope you have a wonderful Sunday! I've seen a few robins around here but am convinced they are locals. Bah! i feel your pain sista……..living the same dream, uh, nightmare, in michigan and my attitude is starting to show just as much. i want to go out on a photo walk, but still can't find an open sidewalk. I do not envy your winter - not one bit. I was super impressed with Trader Joe's and so wish we had one close - so many healthy options. Take soliance - those 6 weeks have to be coming to a close soon.Speaking of birds - today we had what I believe is an Indian Blue Robin - gotta be a good sign. Ooooo, lucky you to be seeing robins, Deanna. No matter what "kind" they are. You can make it Deanna. We are almost to March. It is bound to get better soon or later. I have another friend that read that book and loved it too. I really can't believe the weather this year, It is crazy. Sending warm hugs your way my friend. A robin would be a welcome sight to see. We are 90 miles north of you...give or take a few!...this has been a very brutal winter with the next week ahead already looking like a cold one. I'm right there with you...yesterday a friend took me to a fabric store to get new fabric for a few throw pillows...I too need color. I'm always hesitant to recommend books because usually there is something in each one that I wish had been left out. Anyway, I just finished MAJOR PETTIGREW’S LAST STAND By Helen Simonson, a sweet story and pure entertainment. I was sorry when it ended. It might help pass a few of the cold days ahead! 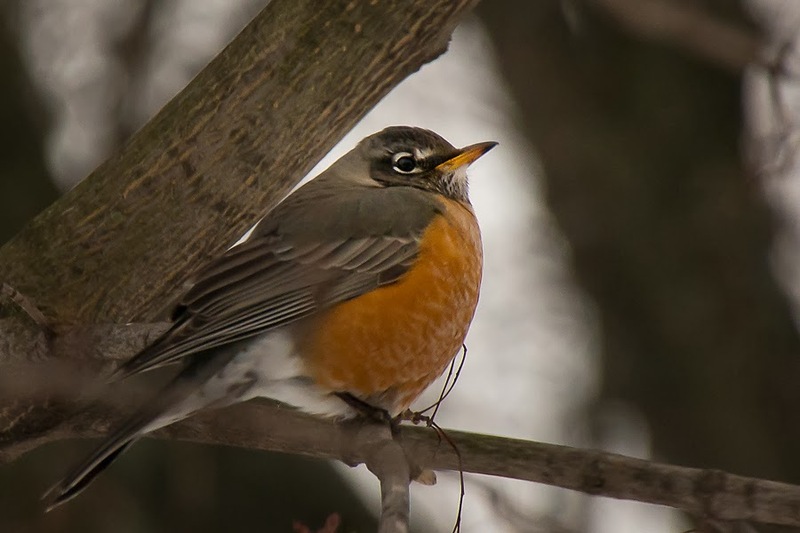 Yes, winter has been unkind, but glad to see that the robins are coming to rescue us. I've seen a few around as well, and our Towhee that come back each year to nest. Your book sounds wonderful! I love stories just like that. I still need to read The Book Thief which I bought months ago. I guess I missed this post last week and since I hadn't seen you for awhile decided to check in on you. This winter has been tough on everyone and am in the same kind of mood as you. It's hard to get inspired to post anything. I hope you are having a better week this week. I meant to say what a cute little chubby Robing and beautiful roses! I'm going to have to check out that book.